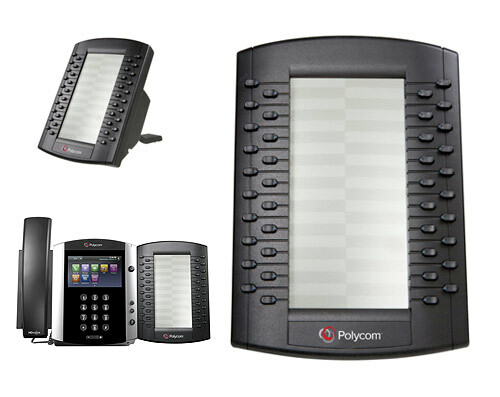 The Polycom VVX Sidecar 40 – Paper Label, is designed to work with the PWR40 service plan and either a Polycom VVX 300, VVX 310, VVX 400, VVX 410, VVX 500, or VVX 600 IP Phone. Up to 3 VVX Sidecar-Paper Label devices can be cascaded together for a total of 120 line keys, and with the same flexible PWR40 configuration options available on each. Any vacant line keys can be used as Speed Dial buttons.